Everyone knows how to cook. Even if you think you’re a horrible cook, you still can cook… you just don’t do it as well as you do other things…and that’s okay. Really. There comes a time, however, when you absolutely have to cook. I’m not talking about feeding yourself (because you’re probably okay with eating restaurant leftovers or frozen meals). No, I’m talking about when you are forced to produce something that will not only be acceptable for others to eat, but that others will enjoy eating. These are the top 10 recipes you should be familiar with and know how to make when it counts. They’re all pretty easy and don’t require a lot of ingredients… mostly items that you should already have in your fridge or pantry (that is, if you’ve been paying attention to Mama). You don’t need to memorize them (how can you? You have all those carry-out numbers to remember), you just need to be familiar with the basic steps so you’ll be able to pull it off with just a little effort and a few fresh ingredients. Don’t be scared. 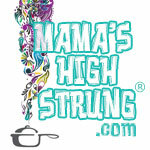 That’s what Mama’s here for. Why: Six ingredients and a velvety smooth cheese sauce. This dish is not only elegant, but romantic and, yes, decadently delicious. Why: This dish could be lunch or dinner… or breakfast for that someone special the next morning after you serve your mind blowing Fettuccine Alfredo supper. Why: A good vinaigrette not only dresses a salad, but can be drizzled over steamed vegetables, used to season croutons or tossed with cold chicken and pasta for a wonderful alternative to mayo. Why: Store bought rotisserie chickens will never embrace your guests like the smell of a chicken roasting in the oven. Besides, it really looks impressive when you pull it out of the oven. Why: If you like meat, there’s nothing like a great steak. Rub on your favorite spices and herbs, a little S&P and you’re set. Make extra and you’ll have enough for another meal later in the week. Why: Mama always says to eat your vegetables… and now you will because this recipe is easy, low in fat, and tastes great. Plus you can use whatever veggies you like. Why: You know you should have more fish in your diet and eventually you’ll have a guest who doesn’t eat meat (and you want to be the accommodating host, don’t you?). Stay calm. None of these recipes are difficult to whip up. Repeat the process often enough and you’ll look like a master chef in the kitchen, able to do it all from memory. Hey I can actually do all of these. I don’t consider myself a cook though. Well Sandra, you might not consider yourself a cook… but you obviously are doing something right! I’ll be you are a lot better than you think! I agree! Except I would switch out the alfredo sauce for a marinara. I made it through college entirely on homemade spaghetti and meatballs and it continues to be a relative staple (with or without the meat) in our house. Thanks, Jen. I know… a good marinara can go on so many things. May need to rethink this! Thanks for stopping by! With these recipes, you can create most any meal…thank you for sharing! That is so true, Kathleen. You can open your pantry and fridge and see what you have on hand… it’s a great way to try something totally new! I am honestly horrible at cooking but being of Hispanic descent there is absolutely no way that I could get away without knowing how to make a decent Mexican rice. It’s like not knowing how to start a computer in today’s world…it’s just unheard of! Haha. I hear what you are saying. But I really believe that if you can read… you can cook. It is just having the patience to do every step exactly as they say. So do you know how to make a decent Mexican rice? What’s your recipe? I forget sometimes to “keep it simple”. I get caught up in recipes that have me in the kitchen for hours. It’s nice to refer to this page to bring me back to the basics! You have plenty of time to tackle them all… but put BROWNIES at the top of your list! Alfredo di Lelio opened the restaurant “Alfredo” in 1914 in Rome, after leaving the restaurant of his mother Angelina. 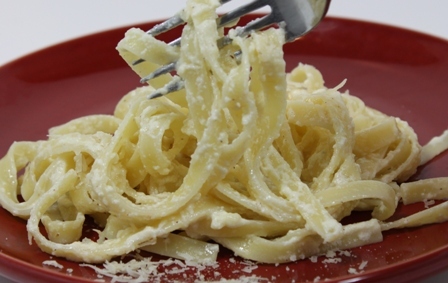 In this local spread the fame, first to Rome and then in the world, of “fettuccine all’Alfredo”. In 1950 Alfredo Di Lelio decided to reopen with his son Armando his restaurant in Piazza Augusto Imperatore n.30 “Il Vero Alfredo” (“Alfredo di Roma”), which is now managed by his nephews Alfredo and Ines, with the famous “gold cutlery” (fork and spoon gold) donated in 1927 by two well-known American actors Mary Pickford and Douglas Fairbanks (in gratitude for the hospitality). Thanks… so glad when I parents teaching their kids how to cook! I just found a low fat version of the recipe and I’m sharing on my page with my boot-camper and clients. Thanks for the hint about things we should be able to cook. I’m not interested in Fettucine too fattening but the only thing I haven’t made is mashed potatoes. The hubby doesn’t care for it and it’s just us. Great list–and advice! Looking forward to your posts! Hey thanks… and always looking for suggestions!